This floating collapsible bag is great for keeping bait alive. Perfect for hanging over the side of your boat or dock. These bags are also useful for isolating bait in tanks. 1/4″ soft nylon won’t harm fish. Collapses for easy storage. 14″ diameter rubber hoop with galvanized ring on the bottom. 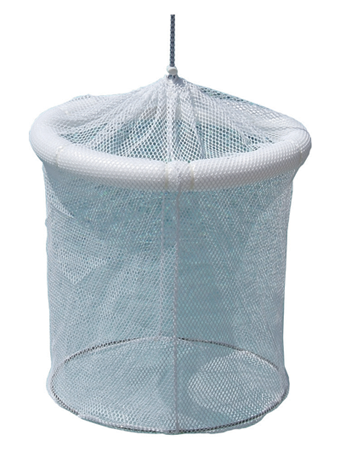 15″ deep 1/4″ Ace mesh bag with a drawstring and cord lock.